As luck would have it, they found us a hotel. We said we’d take it. They said you might want to know how much it is before agreeing. Well, after I took the standing eight-count, I told them we’re in. After all, we had to have a roof over our heads. We thanked them for all their help and then asked them to call a cab. We grabbed our bags and headed out the door only to be greeted by the hotel’s assistant general manager who was going to drive us to our new hotel. Kevin was a terrific guy and we headed off only to be stopped by roadblocks. 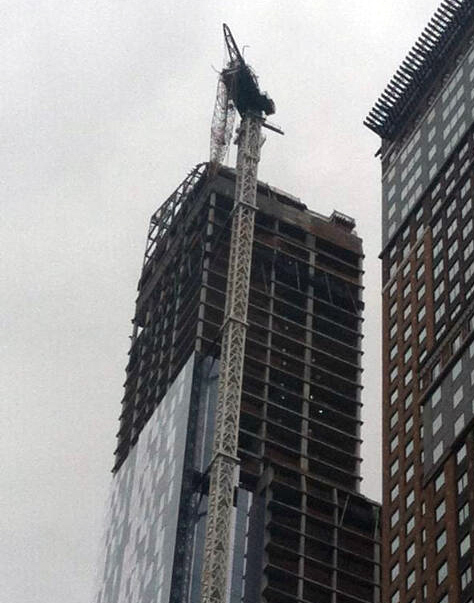 Seems the road where our hotel was located was closed due to a dangling crane about sixty stories up. That’s right, THAT crane we all saw on the news. So, Kevin parks his car on the side of the road and unloaded the luggage, but instead of saying goodbye, he grabbed two bags and said follow me. He carried it all the way inside our hotel and was all smiles as he walked away. What service! Oh, by the way, the hotel we were checking into for big bucks did not have hot water or heat the first night. I still had sticker shock, but we had a hotel and the race was on. Oh yeah, when we looked out our window, we were staring straight at the crane. Perfect. We watched a lot of local news coverage and saw that many of the locals were not happy that the marathon was to be run as scheduled. The Mayor was insistent that the race would happen, end of discussion. Back to the running for a moment. In the weeks leading up to all of this I was leaking confidence, feeling like I really wasn’t quite ready for this, that I needed another month of training. That feeling disappeared Friday morning as I went out for a run amongst the workers and tourists. You’d never know that Sandy had paid a rude visit and that thousands were homeless and without power. Weaving in and out of heavy pedestrian traffic (and a few cabs) I passed Radio City Music Hall in the crisp morning air and I began to feel it. The streets were full of life and energy and it was truly invigorating. My confidence was back and I was pumped! This is what I’d waited for all these years. My legs felt fresh and there was no stopping me now. There probably would be no way I’d get much sleep the next two nights due to the excitement. After a nice lunch at another classic New York deli, Rhonda and I returned to our room to check the latest news on the clean up. 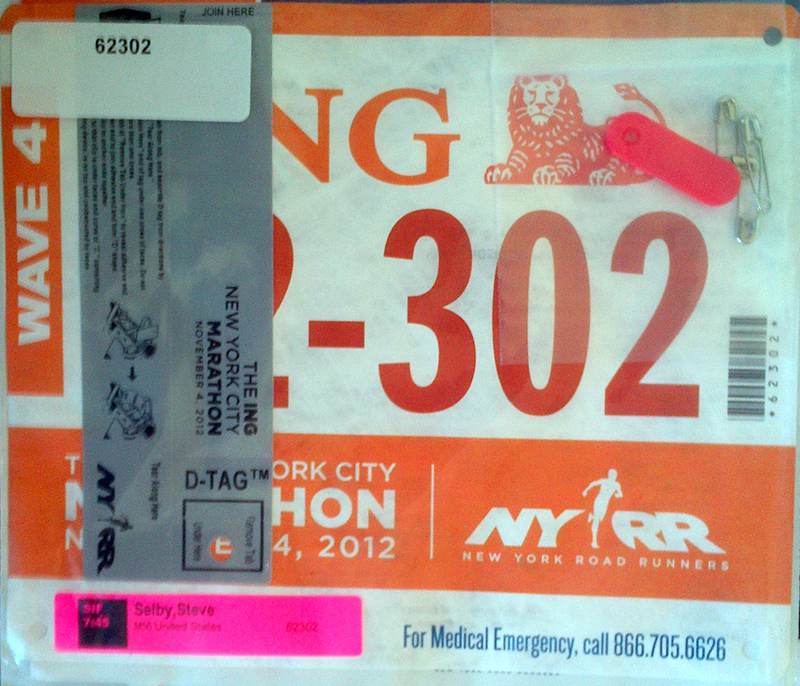 As late as 3:00 pm Mayor Bloomberg was saying the race was still on despite mounting pressure to cancel the marathon. Then it was over. Just before five, I got short text from Austin saying, “Race cancelled”. I looked at Rhonda in disbelief having just watched the Mayor two hours earlier state the opposite. Five minutes later Mary Wittenberg is on TV live with the bad news. She heads up the New York Road Runners Club, the sponsoring agency of the race. She looked like she had just lost her best friend. She confirmed the bad news. No postponement. No race in 2012. Clearly, they had made the right decision. They just made it too late. Tuesday morning should have been the time to cancel the race. I don’t know how many of the 47,000 runners had made to town prior to the cancellation, but it was a big number. Word has it that 20,000 of the runners were from other countries. We would have all saved major dollars had hey cancelled it before we got to town. It was disappointing, however, to hear the hate and disdain the locals had for the runners. They couldn’t understand why we had come to their city to run a race after what had happened to them. How dare we? Well, we had followed Bloomberg’s call to come on. We had invested big money for this. What they didn’t know is that the running fraternity is special. As it turned out, after the race was cancelled, the thousands who decided to stay turned out for relief duty. We had planned to do the same on Monday had the race been held. I do understand that their emotions were getting the best of them. Some had lost their homes and some had lost family and friends, so there are no hard feelings. I just hope all those who were watching the news that week don’t think we were a bunch of heartless people who came to town to run a race in the middle of a disaster. We were able to get our flight rescheduled to Saturday and in less than 48 hours we had come and gone. Definitely, we experienced a serious emotional roller coaster. As I stared out the window of the plane looking at Manhattan disappear from view, I was feeling like a little boy who had been told Christmas was cancelled. A sad and empty feeling it was because I knew this was it. I would not try to run New York or any other marathon. My body had been telling me it was time to stop. I put Rhonda through some serious angst every night I would go out for a run around midnight. Will I be tempted to try it again? You bet, I already have been battling that in my mind, but I firmly believe that with these two late disappointments that it’s not supposed to happen. I probably made it too big of a priority and sacrificed things needlessly in order to train. For now, it’s time to relax, although I will still run short distances, and get ready to watch Austin run St. Jude in a couple of weeks. It will be exciting to watch him just two years after getting hit by a car while running and being told he’d never run again. New York was dream, Austin is reality. November 4 was to be the culmination of two years of hard work and the realization of a dream thirty-plus years in the making. 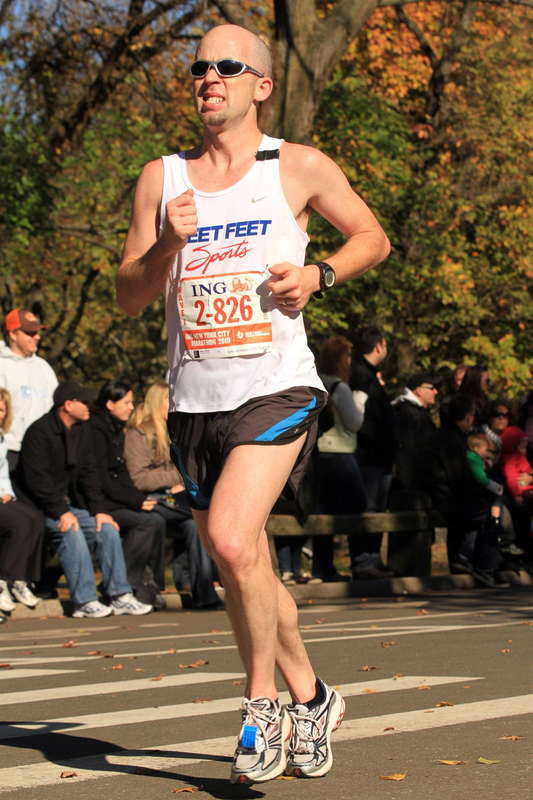 You see, I was to be among 47,000 other runners who had worked and sacrificed to run in the ING New York Marathon. This was to be my second try at running in this unique sporting event. I was supposed to run in the 2011 race, only to have an injury shut me down one month before the race. Despite the grind of a Pacific Coast League season and the rough travel that goes with it, the heat and humidity of Memphis not exactly the best training conditions and a 56-year-old body that constantly reminded me I shouldn’t be doing this anymore, I decided to try it one more time. My desire to run New York began decades ago when ABC first televised the race. I became hooked and my kids would soon be a part of the annual Sunday morning viewing. We would skip church, but would do a short devotional before tuning in to the race. It not only had me dreaming of running a marathon, it would directly impact my oldest son Austin who would run marathons before I did. Actually, the first in my family to run the 26.2 was my brother Don who ran the Marine Corps Marathon (MCM) in the 1970’s and that always bugged me because he had done it and I had not. Then my interest was really reborn when Austin ran the Music City Marathon and then the MCM. I flew to Washington to watch him run and was inspired by his performance and by the atmosphere at the marathon that I had to give it a go. So, Don and I entered the 2009 Marine Corps Marathon. Not to be left out, Austin entered as well. I survived the hot summer training and a Redbirds championship run and felt like I was mostly ready for the race. Unfortunately, I was in for a surprise when one week before the race I couldn’t run two minutes without coughing uncontrollably. A quick trip for a check-up did not result in the news I was looking for. I heard the word bronchitis and knew I was in trouble. The nurse said I’d get an antibiotic, but couldn’t give me a steroid since I was going to be running in a race. This was after I was told I shouldn’t run. I told her that my time (if I finished) would not cause race officials to have me pee in a cup and to give me the steroids. She caved. I’ll save the sordid details of the race since this story is to focus on New York, but suffice it to say that I finished the race thanks to Don running with me. He’s much faster than I am, but his experience and just being there was invaluable. 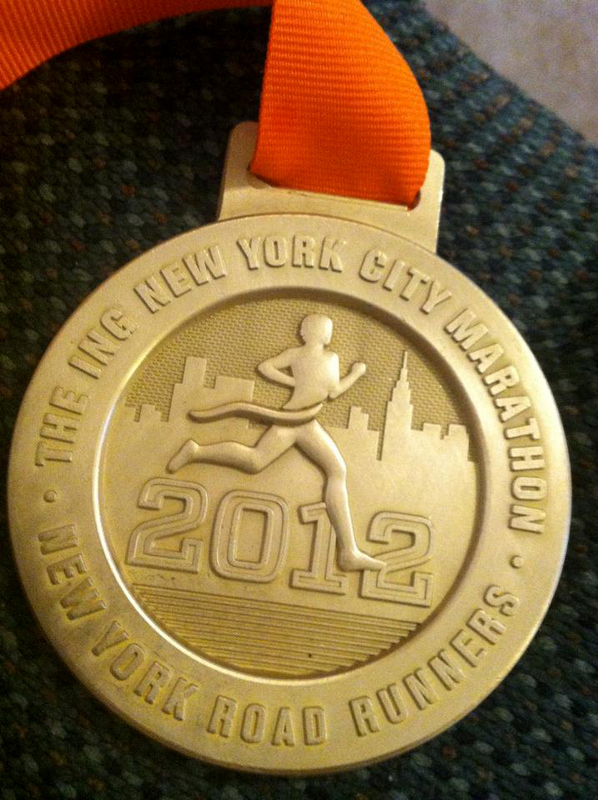 I proudly wore my medal on the plane that night and assured my wife Rhonda that I didn’t need to run another marathon. I think she knew better. I really did feel that way. That is, until Austin ran New York in 2010. I had to go to New York. Fast forward now to the 2012 Redbirds season. The season was a struggle on the field as well as in the radio booth. The Redbirds were trying to battle through a pair of nine-game losing streaks and countless roster moves. In the booth, I was missing my dear friend and long-time partner, Charlie Lea. I think the training proved to be an escape and went very well. I was about a month ahead of my 2011 training schedule and was running at a faster pace. Then, a hip injury appeared in early August following a run in Sacramento. That would be followed by a recurrence of the same injury during a 16-mile run in Des Moines. However, this time it was more severe. The crew at the Campbell Clinic got to know me very well over the past few years due to my nagging injuries and as usual, they took care of me and I was able return to training and would make it to the start line this time. Or so I thought. Then the weather forecasters began to rain on my parade. They were certain that this historic storm was going to slam New York City. Why did they have to pick this particular time to nail the forecast? Naturally, I sat up half the night watching the coverage of Hurricane Sandy and then when the sun came up that Tuesday morning, we saw the devastation. No way there would be a race five days later. Not so fast, my friend! Mayor Bloomberg from the very beginning said the race would go on, showing that New Yorkers were resilient and that all the runners should plan on coming to town, this despite the fact that all three airports in the area were closed. Our flight was set to land at La Guardia Thursday around lunchtime. As of Wednesday afternoon, La Guardia’s runways were still under water. No problem right? Right! We woke up Thursday morning and checked our flight and it was a go! Off to the Big Apple! We didn’t know exactly what we would find when we got there, but were excited to finally begin the adventure. One thing we did know was the electricity at our Hampton Inn on West 24th street did not have electricity. They told us we could stay there anyway and we figured after a day or two we’d be good to go. Rhonda was introduced to the art of driving in New York as our Super Shuttle driver showed his “confidence” in knifing in and out of traffic. Then, I saw the sign –“Queensboro Bridge Turn Right”. This would be the toughest part of Sunday’s course. It comes fifteen miles into the race and has an incline of nearly a full mile and provides the best view of the City. My adrenalin was flowing big time. How would I fare on the bridge? I told Rhonda that things were going too well and that we would hit a bump in the road somewhere along the way, but it would just be part of the story we would tell when we returned to Memphis. It turned out that bump would become bumps, with the final one being the size of Pike’s Peak. As we were getting out of the van in front of our hotel, I got a call from the front desk telling me that the decision had been made to close the hotel due to the electricity being out. There was electricity just two blocks away, but this part of Chelsea was dark. After a good laugh, we went inside and these poor employees were full of smiles despite the fact they had been stuck there since Sunday. They apologized and immediately began calling around trying to find us a hotel. As we neared the one hour mark of these calls, I was having thoughts that we’d be sleeping at Penn Station that night. Another chapter to be written! 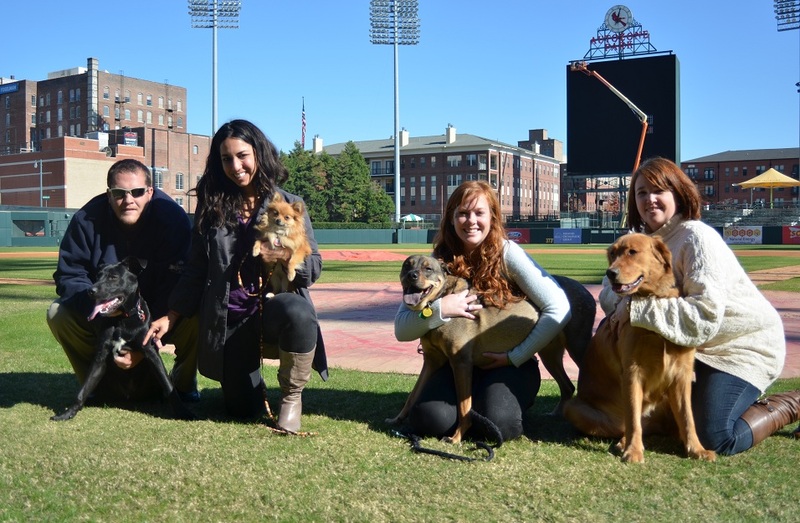 Today was “Bring Your Dog To Work Day” for the Redbirds front office. All mean dogs were kept at home. (L to R) Mark Anderson with Cash, Leigh Eisenberg with Chloe, Erin O’Donnell with Robert E. Lee, and Cindy Neal with Hattie. Downtown Memphis, TN – The Downtown Memphis Commission and the Memphis Redbirds are teaming up to turn AutoZone Park into one of Downtown’s favorite family-friendly hotspots this holiday season. “Rockeyfeller Plaza” will feature a lighted 35-foot artificial tree, which will be the backdrop for caroling, concerts, and other events all season long. The tree will be delivered to AutoZone Park on Monday, November 5 and will be installed by Greenline Landscape Services. Tree assembly will begin on Wednesday, November 7, and is estimated to be completed by Friday, November 9. 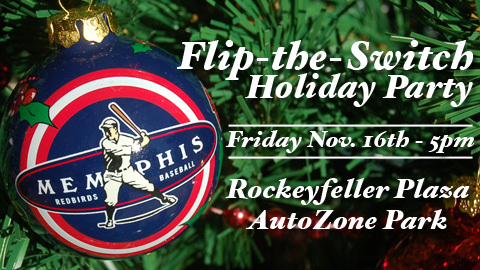 A Flip-the-Switch party will be held on Friday, November 16 during which the tree lights will be turned on at 5pm. The party will kick off the holiday season Downtown and is free and open to the public. Entertainment will include caroling by Downtown Elementary School, music by the River City Concert Band Brass Ensemble, free hot chocolate and hot cider for attendees, and special guest appearances. Other holiday events in Rockeyfeller Plaza include free concerts by Star & Micey (December 8 at 3pm) and Tennessee Mass Choir (December 15 at 3pm). In addition, local community groups are invited to present holiday-themed performances in the plaza throughout the season. Interested groups can download complete information and an application by clicking here (PDF).